Looking for an alternative to selling boring old candy bars or magazine subscriptions??? How about putting some FUN into your fundraising! Bay Area Fundraising is a large part of our business focus because we are able to give our time and experience back to those who are in need of it most. We are proud to work with your school, sports team, or organization to help raise money for your great causes. We donate up to 20% of the total sales to your organization while providing a tasty, fun and professional experience for all. Some organizations that we’ve helped fundraise for have been with The American Cancer Society, Children’s Miracle Network, Little League Baseball’s World Series, Junior Olympics, Medical Research Walk-A-Thons and for many other various schools, churches and organizations throughout the community who needed fundraising. 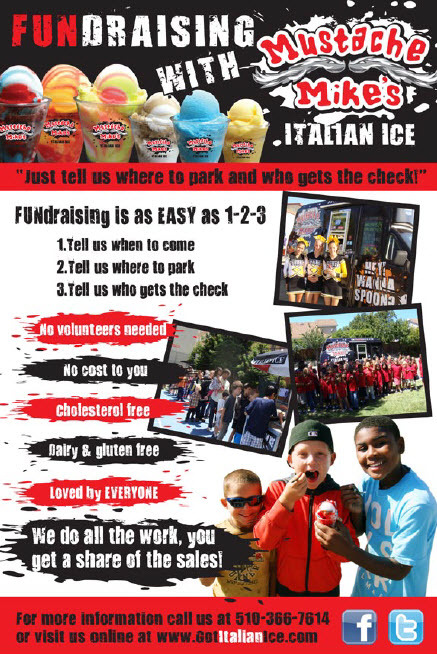 It’s a simple FUNdraising model to implement and from our experience, a tasty fundraising treat everyone loves to enjoy!